Entering expenses in QuickBooks Online (QBO) is easy. From the Home Page you click on the + sign to bring up the transaction menu. Under the Vendors menu you can see the various choices such as Expense, Check & Bill. 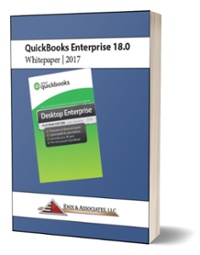 This Expense option is not available in the desktop versions of QuickBooks Pro or Premier. In reality the end result is the same. Whether you enter an expense via the Expense option or the Check option the accounting behind the scenes is identical. QuickBooks Online is merely trying to help you choose the option that is most appropriate. In the desktop versions we used checks regardless if it was a real check or a debit transaction such as an EFT or just the general use of your debit card. Regardless, the important thing is this will keep your Vendor history intact for future reference. In our first example we'll show you the use of the Expense option. We'll assume we're using our debit card to pay for some much needed computer repairs. The cost of the repair totals $150. As you can see below you see the balance in your checking account prior to the expense of $1,201. The appropriate vendor and account have been chosen as well as the appropriate bank account. The description is optional but is always a good idea to complete this if possible. After the expense has been saved the balance in the checking account is reduced by $150. Writing a check is virtually the same with some subtle differences. First of course you include the check number. In the case of the expense transaction we could put debit or eft or some other meaningful reference. To me, it's not worth the effort. But it's your choice of course. In the example below you can see on the far right you can put the check number or check the box to Print later. The Print later option is typically used if you print multiple checks in a batch like a weekly check run. If you choose to print the check immediately you just choose the Print check button. Of course you can always add additional information in the Memo section if desired. The third way to enter a transaction in this instruction is by entering a bill. You want to use this function when a vendor has given you terms such as Net 30. If you are writing the check immediately you do not want to enter a bill and then pay the bill. That is not necessary as you would just write the check straight away. But if you're entering an expense to pay at some future date then the Bill would be the correct transaction type. We will discuss Recurring transactions in a separate article. We just wanted to point out this excellent feature at this point. I trust this has been helpful. Keep coming back to learn more about QuickBooks Online - The #1 Saas accounting product in the world!